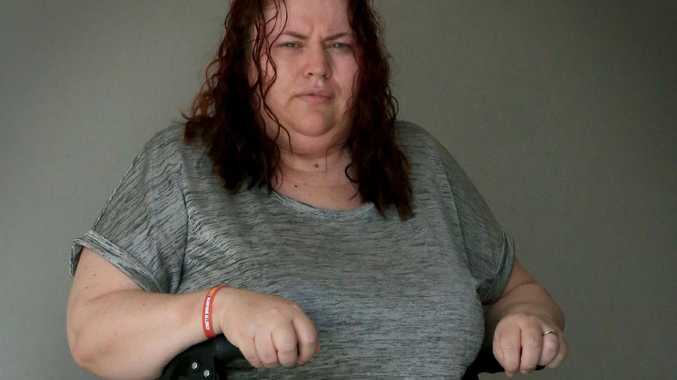 MOTHER-of-three Nicole Butcher claims a leaky gutter and rotting stairs at a rental property, that went without repair for two years, despite complaints, ended her nursing career. Now Mrs Butcher, who was seriously injured when she fell from the rotten stairs, is suing the property owners and a real estate agency for almost $2.4 million. Mrs Butcher, 40, says she was halfway through her nursing training, aiming for her dream job as a midwife, when she broke her ankle and badly injured her spine. "To be told I'd never even be able to become a nurse was very hard,'' Mrs Butcher, who now uses a walker and cannot lift anything heavy, said. She and her husband and three children moved into the Crestmead property in 2014. Her court claim says a former tenant had reported leaking gutters about a year earlier and a 2013 real estate inspection noted a gutter hole was causing water to leak onto the stairway. In June, 2014, the owners, Simon Clover and Jo Ann Bennett, were told by New Image Real Estate that plants were growing in the gutters, the claim says. In January, 2015, Mr Clover delivered replacement gutters to the premises, leaving them in the yard. In March, 2015, Mrs Butcher's husband slipped on a mouldy, loose step tread and fell to the ground, injuring his thumb, the claim says. The agency reported to the owners: "Please replace gutter to front - shocking when it rains. Tenant slipped on steps - very dangerous please''. Mr Clover told the agency he had been trying to get quotes to replace the guttering, the claim says. A few weeks before Mrs Butcher's fall, she and her husband told the agency that the front stairs were very slippery with mould and moisture and the step treads wobbled underfoot. 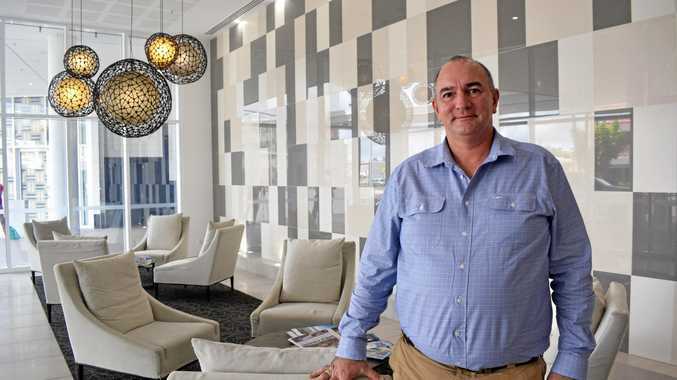 An agency employee reported to the owners: "Tenants running gauntlet when it rains/very slippery steps/mould with constant dripping'', the claim says. The next day it was allegedly reported that the guttering was "leaking like sieves'', causing more mould on the steps. On August 6, 2015, Mrs Butcher was descending the front stairs when a tread moved upwards and she fell down the rest of the stairs. "All I can remember is panic, hitting the ground hard and screaming for my husband,'' Mrs Butcher said. Patrick Delaney of Shine Lawyers said Mrs Butcher would never work again. 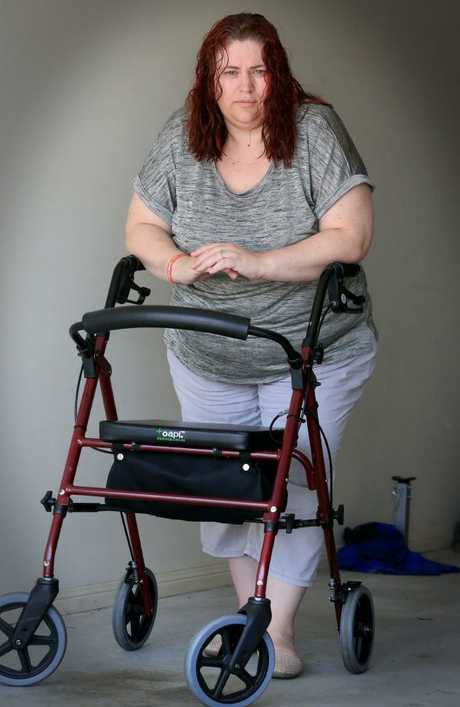 "The fall she took on the damaged step of her rental property caused her to break her ankle and badly injure her spine, which has since required multiple surgeries,'' Mr Delaney said. "She has endured extensive pain over the past couple of years." The property owners and agents are yet to respond to the Supreme Court claim.